"It's an excellent appetizer, served fresh with vinegar chips!" Mix mascarpone cheese, pumpkin puree, and cinnamon together in a bowl; add mashed apples and orange juice concentrate and stir until smooth. Refrigerate dip until chilled, about 1 hour. 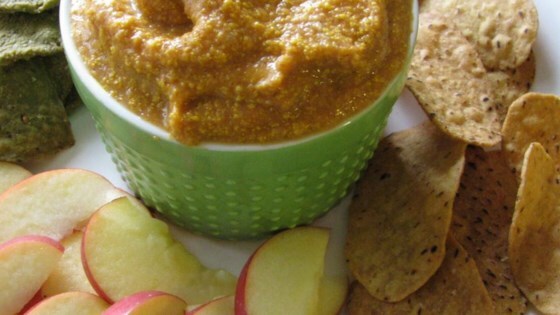 This creamy vanilla-flavored pumpkin dip is super-easy to make. I recommend using freshly cooked pumpkin.